Festivus is a secular holiday that began as a parody holiday festival. It is celebrated on December 23 and is considered an alternative to the pressures and commercialism of the Christmas holiday season. Festivus was created by author and editor Daniel O'Keefe. His family began to celebrate Festivus in the 1960 as a means of relieving family tension. Originally the holiday did not have a fixed date and could take place on any day from December to May. 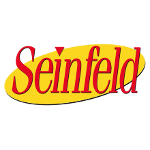 In 1997 Daniel's son, writer and producer Dan O'Keefe incorporated the holiday into an episode of the popular sitcom Seinfeld. Thus Festivus entered popular culture and is now celebrated on December 23, as depicted in the episode. Holiday traditions have also been borrowed from Seinfeld. The symbol of the holiday is an aluminum Festivus pole which is displayed unadorned. It was designed as the opposite of Christmas tree. Festivus celebration includes a holiday meal which begins with the ceremony of “Airing if Grievances”. Everyone present lashes out at one another about how they have been disappointed in the past year. The Festivus dinner is immediately followed by the Feats of Strength; the head of the household needs to be pinned to the floor in a wrestling match, otherwise the holiday will not be over.